The Hadassah Medical Center is one of the prestigious participants in a global consortium sponsored by the Cure Alzheimer’s Fund (CAF), aimed at employing stem cells to eventually uncover the cure for Alzheimer’s disease. Prof. Tamir Ben-Hur, M.D., Ph.D, head of Hadassah’s Department of Neurology, is spearheading the research at Hadassah, which has received an initial grant of $100,000 from Cure for this purpose. 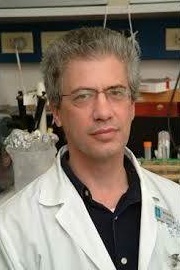 Prof. Ben-Hur explains that neural stem cells are able to renew themselves and generate various types of brain cells. While such cells form the brain during embryonic development, it has become clear that the adult brain, like many other tissues, also contains resident stem and precursor cells. During the last decade, Prof. Ben- Hur and several other research groups have shown that neural stem and precursor cells have additional therapeutic properties that may prove applicable clinically. In particular, they have shown that these cells possess unique immunologic properties by which they suppress inflammatory processes in the brain. They also possess trophic properties by which they can protect brain cells from injury, and even facilitate regenerative processes by neighboring cells. Putting this research into perspective, Prof. Ben-Hur notes that the goal is not to examine whether transplantation of stem cells will help patients with Alzheimer’s disease. Rather, its purpose is to “examine whether the brain has a potential to protect itself from developing the disease by proper function of its resident stem cells.” This knowledge, he says, could lead to defining new ways for battling Alzheimer’s disease. Along with Prof. Ben-Hur on the consortium team are distinguished researchers from domestic and international institutes, including: Doo Yeon Kim, Ph.D, Harvard University Medical School and Massachusetts General Hospital (MA); Kevin Eggan, Ph.D., Harvard University Stem Cell Institute; Sam Gandy, M.D., Ph.D., Mount Sinai (NY) School of Medicine; and Scott Noggle, Ph.D, New York Stem Cell Foundation. Marc Tessier-Lavigne, Ph.D., President of The Rockefeller University (NY) is pursuing related research separately funded by CAF. The “Stem Cell Bank” created during this research will be available to researchers around the world, enhancing the ability of global scientific discovery to proceed at a more rapid pace.